If you have been brainstorming with your banker friend, Business analyst neighbor, discussion forums or a consultant uncle about appropriate reasons for pursuing MBA, you probably have made up half your mind about taking up an MBA degree. Assuring completely before going for an MBA degree plays a significant role in your career. Recent Graduate or a working professional, MBA can be a transformational experience for both. Reasons for pursuing MBA also revolve around an individual perspective. For most of them, it is the fastest way towards high earnings, for many it is for starting their own business, for some, it is an urge to change their present career. Others might need it because of lack of jobs, growth and bigger opportunities. If you are recent graduate and MBA seems interesting to you, you can always climb up the ladder. Some colleges also provide + MBA courses where you get both the graduation and masters at one place. It helps you to finish your studies at one go and later concentrate on your job. On the other hand, being experienced is an advantage in MBA as it works perfect for career advancement or change. Many companies look for the candidates having prior work experience and an MBA degree. Indeed, MBA has emerged as the most widely chosen option in India. In today’s world, most of the roles are performance driven. You will find your counterparts with same credentials and qualities as you have. Being hardworking, result-oriented and smart worker will give you a work-experience and few promotions but what next then? The time to reach this sluggish stage depends on individual to individual. It may take 2 to 8 years to realise that you need career advancement. An MBA degree from a premier B school can be your rescuer. It will definitely help you to make a shift from your role to a management position. 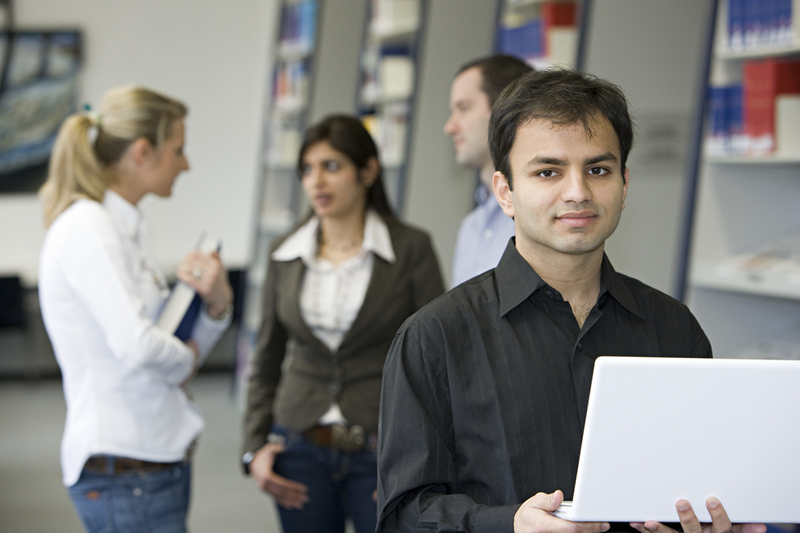 MBA has been the preferred degree in most of the roles across industries. Not all who pursue MBA land at the senior positions but it can help you to receive promotion and marketability. Hence, accelerating your career. You have just realised that your true calling is marketing. But all you have is 4 years experience as a software developer or a degree in bachelors of technology, Electronics. What can be the best steps to make a shift? Pursuing an online/part-time course or taking up small projects. If you are successful in doing the same, all you can get is entry –level job in marketing. Therefore, most of the professionals choose MBA to shift their career smoothly and efficiently. MBA is not only the change catalyst but a self-awareness program. It is a positive experience which can teach you a lot about self assessment and career transition opportunities. Certainly it is subjected to interest, knowledge and passion to pursue a completely different field. MBA teaches you general as well as business management skills which can be applied in variety of jobs including hospitality, banking, consultancy etc. MBA definitely helps one to build professional relationships which may prove to be essential mentors and contacts. This networking includes fellow students, faculties and internship opportunities. This well combined network stays with you for the entire career and provides you with relevant information and better opportunities. Also, it is shown by studies that many entrepreneurs choose their team from peers in business schools. The aim of the MBA program is to engage one in the study of entrepreneurial individuals and organizations. This throws light on the connection between entrepreneurship, management practice and external factors. This results in developing awareness and entrepreneurial skills which can be well applied practically. Also, most of the MBA preferring companies offer leadership positions. MBA also helps one to effectively build their leadership qualities by practical experiences. Though every business leader doesn’t necessarily have an MBA, but having one increases your chances of getting considered for leadership positions. Most importantly, confidence is the key to success. If you are professionally confident about your growth, you will definitely succeed. MBA helps one to develop their knowledge, experience and personality all together. Studying an MBA pushes one to come out of the comfort zone, deal with latest situations, apply management techniques practically and each day challenge yourself. This Indeed will help you to improve and grow professionally as well as personally. It is not necessary to get an MBA before having your start-up. The only thing you need is know-how, basic finance planning and a dream. Bill gates and Steve Jobs are the best examples of entrepreneurs without MBA degree. An MBA degree only provides skills useful for running a business like accounting, marketing, sales, and human resources which are all basics to make work a business. The more relevant knowledge you have for running a business, the better are chances for profits.However, everything is not hunky dory. Spending or taking break of 2 years from job is indeed difficult. Proper research and knowledge is needed while going for a B-school for MBA. To know the returns on investment is critical. Consequently, it is advisable to study the other side of the coin as well. Despite all the criticisms, popularity of MBA remains high which makes it reasonably important. Any degree cannot magically create opportunities but if all the necessary efforts are applied, sky is the limit for a career with an MBA degree in hand. Can you think of any other reason for pursuing a degree in MBA?